But since having a software based approach that comes up with a price that is unique for the customer based on their particular wants and requirements, he has noticed a huge improvement in his pricing. He uses this software daily to price every compliance service. And because of the ability to customise Cloud Pricing so effectively, he was able to create separate modules and build a system of questions to effectively deal with a large business with a £5 million turnover. Reza has found that this new way of pricing has brought him much higher quality clients. Some clients that were troublesome or difficult have been put off by this new way of pricing. This was perfect because it allowed Reza to commit more time and care to his more valued clients. He can afford to be more selective in terms of who he takes on, which is a great position to be in. I recommend you watch the whole interview here to learn just how Reza achieved such amazing results. 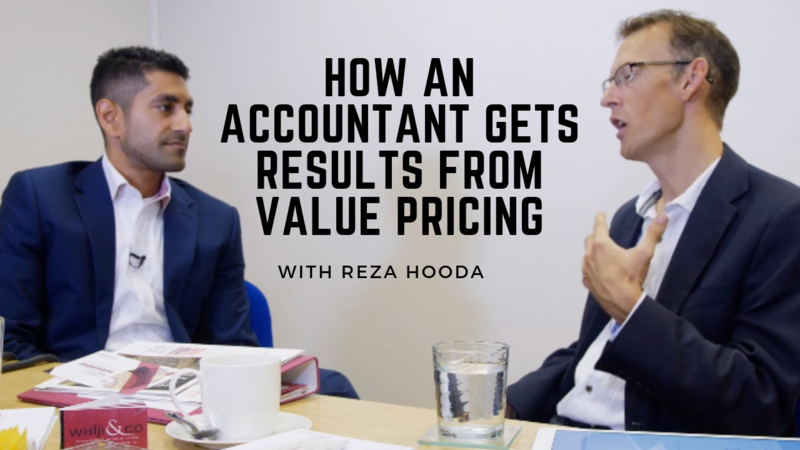 Click here for access to my free monthly training to learn how to crack value pricing, just like Reza.